A landlord in Waterloo was ordered by a municipal fire inspector to replace all smoke detectors in the bedrooms of his apartment building with heat detectors. 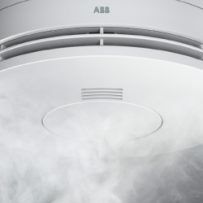 While it is unconventional to install interconnected smoke detectors within bedrooms, the landlord intended to provide a higher level of fire safety in the apartment building than that required by the Fire Code. The landlord prohibited smoking in the rental units, but in direct contravention of their lease agreements, tenants were smoking in the bedrooms. Because smoke detectors were installed in the bedrooms, the tenants’ activity triggered regular false alarms. To avoid false alarms, the tenants were then taking increasingly extreme measures to disable the smoke detection system. While there was some dispute about how the fire inspector ended up carrying out an inspection at the property, an inspection did take place and resulted in the order for the replacement of the smoke detectors. The Fire Safety Commission, on appeal, accepted the evidence of the fire inspector that people tend to grow complacent about fire safety in the face of frequent false alarms and that such complacency extends beyond those triggering the false alarms to tenants through the entire building. The Commission also accepted that people are more likely to tamper with fire safety systems in an effort to minimize false alarms. As a result, the Commission agreed it was necessary in the interests of fire safety for the smoke detectors to be replaced. See Gondosch v. Waterloo Fire Rescue, 2016 CanLII 102465 (ON FSC). In light of this decision, landlords are reminded of their ability (and obligation, in some cases) to terminate a tenancy under the Residential Tenancies Act for interference with the landlord’s lawful right and interest (N5); impaired safety (N7); and illegal acts (N6), all of which could have applied in this case. Had the landlords acted promptly in addressing the tenants’ behaviour, the costs of replacing the fire safety equipment may have been avoided. If you have a situation where tenants are engaging in the type of behaviour described above, consider the findings of the Commission in this case and act promptly to stop the behaviour or end the tenancy before the tenants’ liability becomes your own. Kristin Ley, a Partner at Cohen Highley LLP, specializes in residential tenancies, human rights and regulatory compliance. She can be reached at ley@cohenhighley.com or 519-672-9333 x 316 if you have any questions about the above or require advice in these areas.